Custom Personalized Cufflinks - God gave me you, custom wedding date. Or custom quote of your choice.Prefect memorable gift for groom, best man, groomsmen gift and wedding favors. 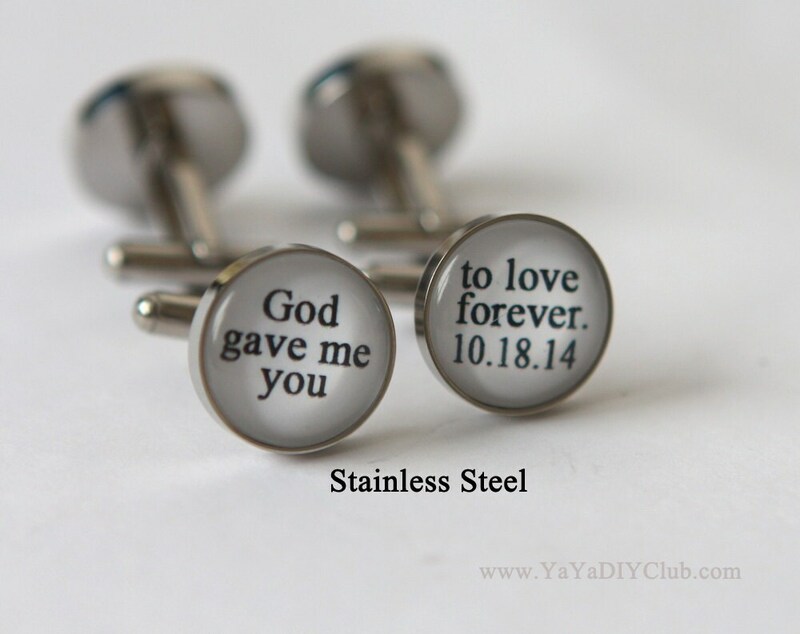 I absolutely Love these cuff links, they are beautiful! I can't wait to give them to him on our big day!